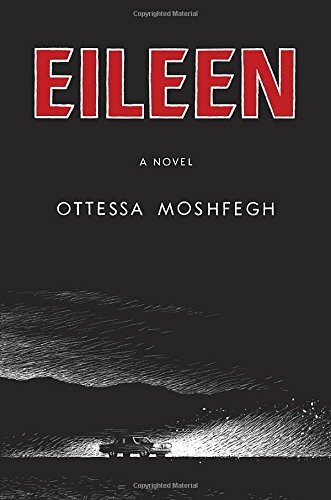 Next up on our list of 2016 Man Booker candidates is Eileen by Ottessa Moshfegh. Only three of us read this book. Here are our thoughts about whether it will win. Do you think Eileen will take the prize? Amazon synopsis: The Christmas season offers little cheer for Eileen Dunlop, an unassuming yet disturbed young woman trapped between her role as her alcoholic father’s caretaker in a home whose squalor is the talk of the neighborhood and a day job as a secretary at the boys’ prison, filled with its own quotidian horrors. Consumed by resentment and self-loathing, Eileen tempers her dreary days with perverse fantasies and dreams of escaping to the big city. In the meantime, she fills her nights and weekends with shoplifting, stalking a buff prison guard named Randy, and cleaning up her increasingly deranged father’s messes. When the bright, beautiful, and cheery Rebecca Saint John arrives on the scene as the new counselor at Moorehead, Eileen is enchanted and proves unable to resist what appears at first to be a miraculously budding friendship. In a Hitchcockian twist, her affection for Rebecca ultimately pulls her into complicity in a crime that surpasses her wildest imaginings. Jen’s Thoughts: I ‘ve seen many glowing reviews of this book, but personally I didn’t understand the appeal. I thought it was an okay read but one that won’t stick with me and I’ve already forgotten many of the details about the plot. Why it could win: I don’t think it will win. However, of all the books it was by far the best in terms of character development. If the judges are looking for character development over other qualities, then it could win. Also, other people seem to love it so maybe our panel is the exception. Why it might not win: It’s ranked lowest in the betting odds of winning the prize. I thought it was a great character study but fairly average in all other elements. While it’s not my least favorite of the shortlist, it will probably be the least memorable for me. Book Worm’s Thoughts: This was an interesting enough book but it doesn’t scream winner (or even shortlist) material to me. Why it could win: Because of the detailed description of life inside the mind of a disturbed young woman. Why it might not win: Because it is an average book not a great book. Kate’s Thoughts: I didn’t enjoy this book but I do respect it. Why it could win: Essentially a well written character study of a young woman with a very unsettled home life and equally unsettling inner thoughts. Why it might not win: I’m surprised it even made the shortlist, or the long list for that matter. It’s good but not special. I’m planning on getting to this one soon. Not sure how I’ll like it, though. you should definitely read it. You may enjoy it.